Rugged NEMA 1 steel enclosure. This indoor enclosure is ideal when a permanently installed power supply is required for your application and it meets NEMA 1 requirements. Integral mounting tabs with 4 x .20" mounting holes for surface mountings. 4 x 1/2" NPT Knockouts. Fits either Mean Well LPV-20-12 & LPV-60-12. 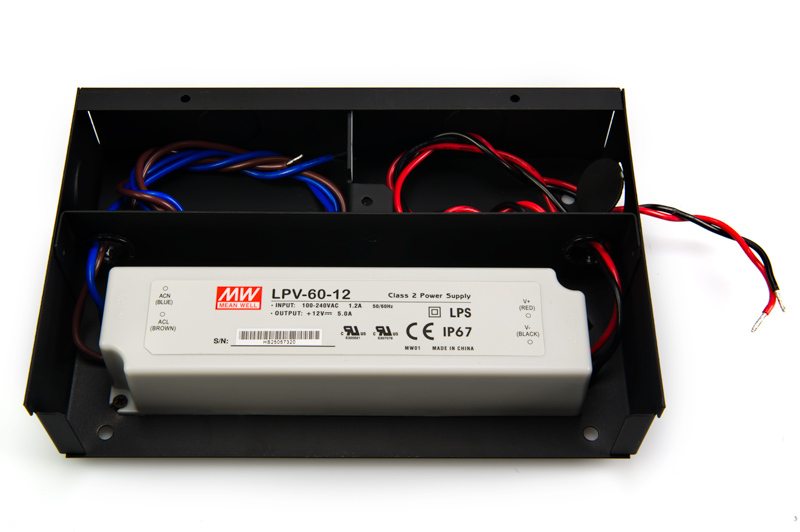 The TRC-E-LPV203560 enclosure is designed to house the Mean Well LPV-20, LPV-35, LPV-60 as well as the LPC-20, LPC-35, LPC-60 power supply units. 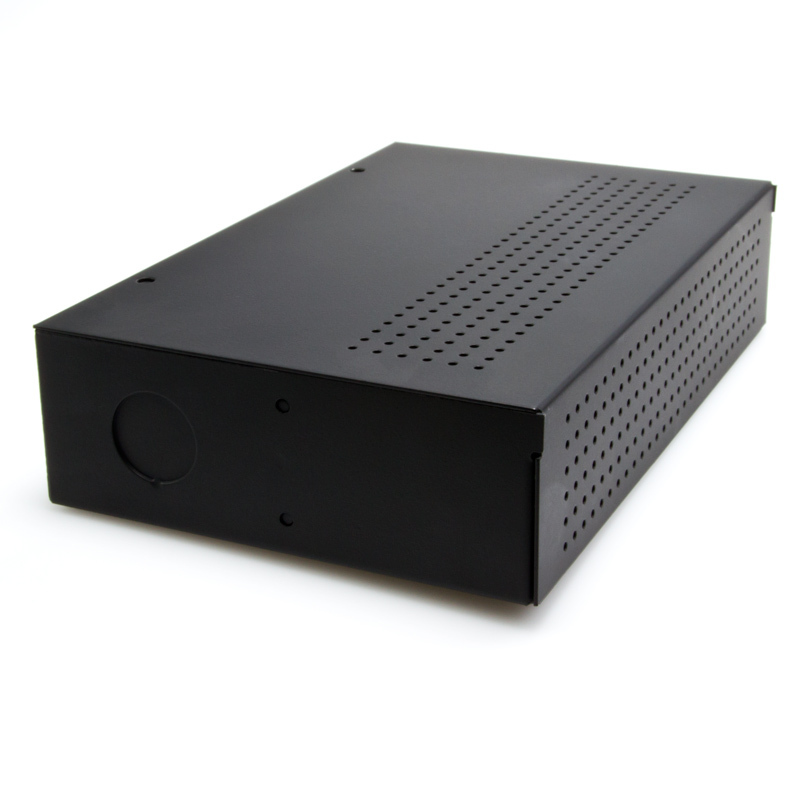 Our TRC enclosure has a black powder paint finish with an easily accessible cover that is removable. This indoor enclosure is ideal when a permanently installed power supply is required for your application and it meets NEMA 1 requirements. To avoid electric shock, do not energize any circuits before all internal and external electrical and mechanical clearances are checked to assure that all assembled equipment functions safely and properly. 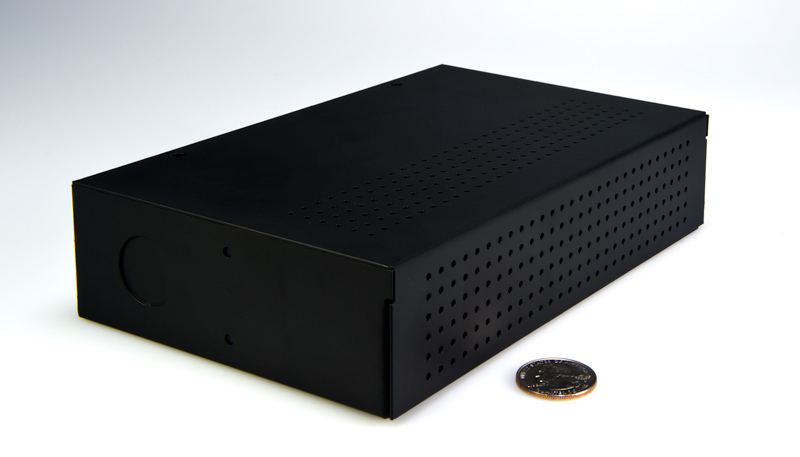 This enclosure has been designed to house Mean Well LPV-20, LPV-35, LPV-60, as well as, LPC-20, LPC-35, LPC-60 power supplies, and is provided with mounting hole positions to fit any of these power supplies. 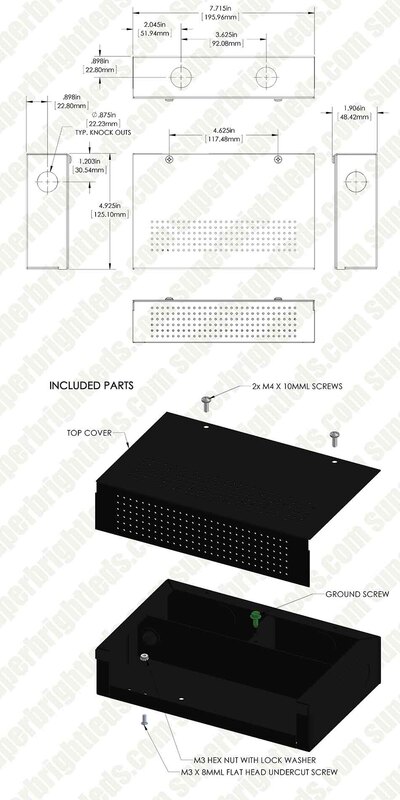 Install the required power supply using (1) provided 4-40 x 5/16 mounting screw with a 4-40 nut. Do not over tighten. It is recommended that this screw be secured with a workable thread lock compound such as Loctite 222MS or equivalent. 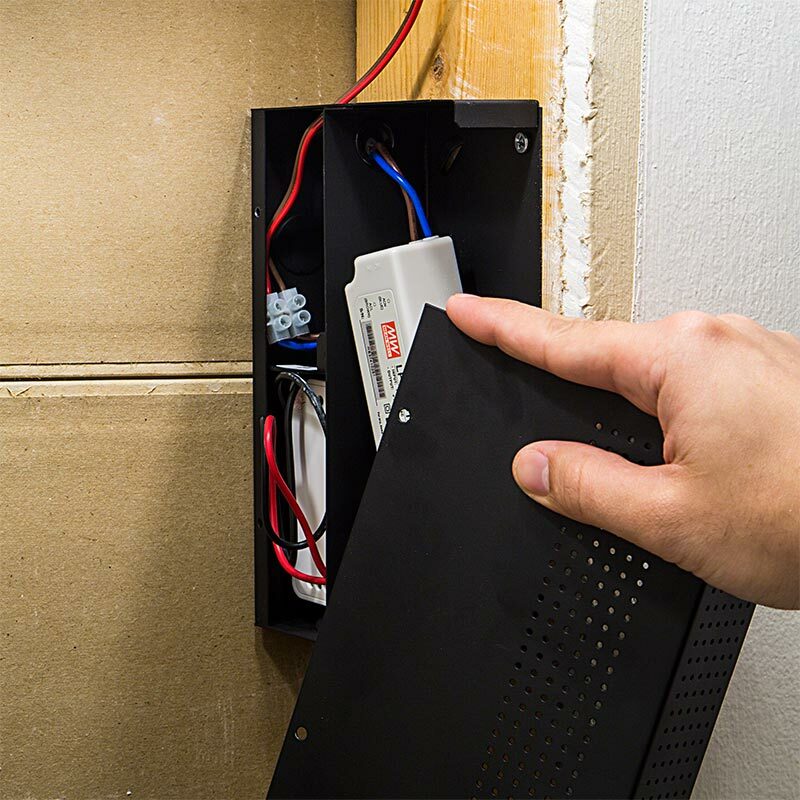 0.20" mounting holes have been provided in the enclosure back box for convenient mounting of the enclosure using installer-provided #10 hardware. Mount the enclosure in a suitable location that assures free air flow to and around the enclosure. Assure that the power supply and enclosure ventilation holes are not obstructed (shown above). Standard 1/2" NPT Knockouts are provided for wire entry and exit. This enclosure has been provided with one Slotted Hex Screw, 8-32 x 3/8" Zinc Green (see image) for ground.